The March 1 report by the United Nations’ “Independent International Commission of Inquiry“ asserted that the bloody attack on a humanitarian aid convoy west of Aleppo City on Sept. 19, 2016, was an airstrike by Syrian government planes. But an analysis of the U.N. panel’s report shows that it was based on an account of the attack from the pro-rebel Syrian “White Helmets” civil defense organization that was full of internal contradictions. A White Helmets member pointing to the aftermath of a military attack. The U.N. account also was not supported by either the photographic evidence that the White Helmets provided or by satellite imagery that was available to the commission, according to independent experts. 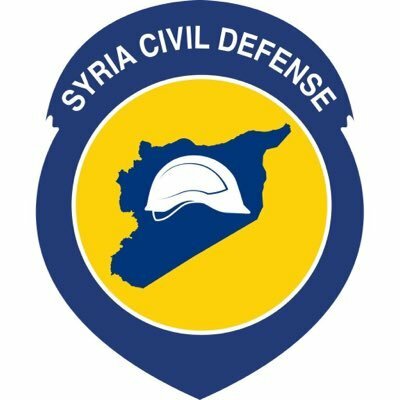 Further undermining the U.N. report’s credibility, the White Helmets now acknowledge that rockets they photographed were not fired from Russian or Syrian planes but from the ground. 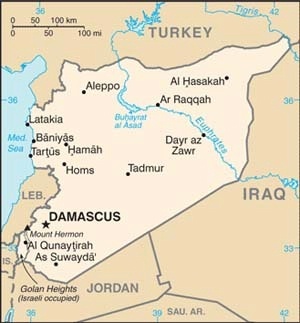 Like last December’s summary of the U.N.’s Headquarters Board of Inquiry report on the same incident, the Commission’s report described the attack as having begun with “barrel bombs” dropped by Syrian helicopters, followed by further bombing by fixed-wing planes and, finally, strafing by machine guns from the air. The March 1 report did not identify any specific source for its narrative, citing only “[c]ommunications from governments and non-government organizations.” But in fact the U.N. investigators accepted the version of events provided by the White Helmets chief in Aleppo province as well as specific evidence that the White Helmets had made public. The White Helmets, which are heavily funded by Western governments and operate only in rebel-controlled areas, are famous for using social media to upload videos purporting to show injured children and other civilian victims of the war. Last year, a well-organized campaign pushed the group’s nomination for a Nobel Peace Prize and a Netflix film about the group won an Oscar last month. The United Nations and the mainstream Western news media have frequently relied on White Helmets accounts from war zones that are not accessible to outsiders. But the White Helmets’ officials have pursued an obvious political agenda in support of opposition forces in Al Qaeda-dominated zones in Aleppo and Idlib where they have operated. On Sept. 19, immediately after the attack on the aid convoy, the chief of the White Helmets organization in the Aleppo governorate, Ammar al-Selmo, presented a dramatic narrative of a Russian-Syrian air attack, but it was marked by obvious internal contradictions. At first, Selmo claimed in an interview that he had been more than a kilometer away from the warehouses where the attack occurred and had seen Syrian helicopters dropping “barrel bombs” on the site. But his eyewitness account would have been impossible because it was already dark by the time he said the attack began at about 7:15 p.m. He changed his story in a later interview, claiming that he had been right across the street at the moment of the attack and had heard the “barrel bombs” being dropped rather than seeing them. Selmo insisted in a video filmed that night that the attack began with Syrian helicopters dropping eight “barrel bombs,” which are described as large, crudely constructed bombs weighing from 250 kg to 500 kg or even more. Citing a box-shaped indentation in the rubble, Selmo said the video is showing “the box of the barrel bomb,” but the indentation is far too small to be a crater from such a bomb. Selmo continued the account, “Then the regime also target this place with cluster bombs two times, and also the aircraft of the Russians target this place with C-5 and with bullets,” apparently referring to Soviet-era S-5 rockets. The White Helmets photographed two such rockets and sent it to media outlets, including the Washington Post, which published the picture in the Post story with credit to the White Helmets. But Hussein Badawi, apparently the White Helmet official in charge of the Urum al Kubrah area, contradicted Selmo’s story. In a separate interview, Badawi said the attack had begun not with “barrel bombs” but with “four consecutive rockets” that he said had been launched by government forces from their defense plant in Aleppo province – meaning that it was a ground-launched attack rather than an air attack. But such a rocket attack from that “regime controlled area” would not have been technically possible. The Syrian government defense plant is located in Safira, 25 kilometers southeast of Aleppo City and even farther from Urum al-Kubrah, whereas the S-5 rockets that the White Helmets photographed have a range of only three or four kilometers. Moreover, the Russians and Syrian government forces were not the only warring parties to have S-5s in their arsenal. According to a study of the S-5 rocket by Armament Research Services consultancy, Syrian armed opposition forces had been using S-5 rockets as well. They had gotten them from the CIA’s covert program of moving weapons from Libyan government stockpiles to be distributed to Syrian rebels beginning in late 2011 or early 2012. Syrian rebels had used improvised launch systems to fire them, as the ARS study documented with a picture. The U.N. Commission’s report cited a photograph of the crumpled tailfin of a Russian OFAB-250 bomb found under some boxes in a warehouse as evidence that it had been used in the attack. The White Helmets took the photograph and circulated it to the news media, including to the Washington Post and to the Bellingcat website, which specializes in countering Russia’s claims about its operations in Syria. But that bomb could not have exploded in that spot because it would have made a crater many times larger than the small indentation in the floor in the White Helmet photo – as shown in this video of a man standing in the crater of a similar bomb in Palmyra. Something other than an OFAB-250 bomb – such as an S-5 rocket — had caused the fine shrapnel tears in the boxes shown in the photo, as a detail from the larger scene reveals. So the OFAB bomb tailfin must have been placed at the scene after the attack. Both U.N. imagery analysts and independent experts who examined the satellite images found that the impact craters could not have come from the “aerial bombs” cited by the Commission. The analysis of the satellite images by United Nations specialists at UNITAR-UNOSAT made public by the U.N. Office of Humanitarian Coordination on March 1 further contradicts the White Helmet account, reflecting the absence of any evidence of either “barrel bombs” or OFAB-250 bombs dropped on the site. The U.N. analysts identified four spots in the images on pages five and six of their report as “possible impact craters.” But a U.N. source familiar with their analysis of the images told me that it had ruled out the possibility that those impact points could have been caused by either “barrel bombs” or Russian OFAB-250 bombs. The reason, the U.N. source said, was that such bombs would have left much larger craters than those found in the images. Those possible impact points could have been either from much smaller air-launched munitions or from ground-based artillery or mortar fire, but not from either of those weapons, according to the U.N. source. A former U.S. intelligence official with long experience in analysis of aerial photos and Pierre Sprey, a former Pentagon analyst, both of whom reviewed the satellite images, agreed that the spots identified by UNOSAT could not have been from either “barrel bombs” or OFAB-250 bombs. Sprey agreed that all of those impact points could have been from artillery or mortar fire but also noted that photographs of the trucks and other damaged vehicles show no evidence that they were hit by an airstrike. The photos show only extensive fire damage and, in the case of one car, holes of irregular size and shape, he said, suggesting flying debris rather than bomb shrapnel. Sprey further pointed to photographic evidence indicating that an explosion that the U.N. Commission blamed on a Syrian airstrike came from within the building itself, not from an external blast. The building across the street from some of the trucks destroyed by an explosion (in Figure 9 of a series of photos on the Bellngcat website) clearly shows that the front wall of the building was blown outward toward the road, whereas the rear wall and the roof were still intact. The photograph (in Figure 10) taken from inside the remains of that same building shows the debris from the blast was blown all the way across the street to the damaged truck. Sprey said those pictures strongly suggest that an IED (improvised explosive device) had been set in the house to explode toward the trucks. In embracing the Syrian-air-strike narrative — although it falls apart on closer examination — the U.N. “Commission of Inquiry” thus fell into line with the dominant Western political bias in favor of the armed opposition to the Syrian government, a prejudice that has been applied to the Syrian conflict by U.N. organs since the beginning of the war in 2011. But never has the evidence so clearly contradicted that line as it has in this case – even though you will not learn that by reading or watching the West’s commercial news media. Beware, the reality on the war on Syria and in Aleppo can really burn your eyes. 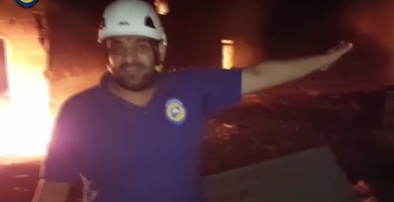 Hospitals totally destroyed and White Helmets are heroes in Aleppo? An Oscar? 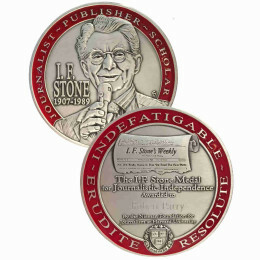 A nomination for the Nobel Peace Prize? At what price will we continue to lie and kill, to justify this war to support terrorist groups, to keep another sovereign country on the brink of suffocation like so many before? I have compiled the following images to give you another perspective to the corporate media narrative. As a French citizen, I refuse to support my country’s criminal foreign policy. Please read my letter to the President of the French republic where I outline my objections very clearly. In less than two hours I have gathered images of two hospitals that are still operating, claimed to have been destroyed. I have walked past tonnes of medicines reserved for the various terrorist groups and prohibited for civilians. I have passed by the remains of the buildings under the control of Jabhat Al Nusra and the Free Syrian Army, next door to the White Helmets building, which as civilian testimony shows us, mainly helped terrorists not civilians. Such distortion is not new. The Syrian government was already blamed by the UN for the Hula 2012 massacre, one of the defining crimes of the conflict. German FAZ reported a different and much more credible story. The names of all 84 victims were known and belonged to 2 branches of an Alawite family, relatives of a pro Assad parliamentarian. They were singled out and executed in their houses and no neighbors hurt. The only survivor, a 11 year old boy, surviving by pretending to be dead, described the killers as “shaven-headed with long beards”. who created the name “white helmets”? 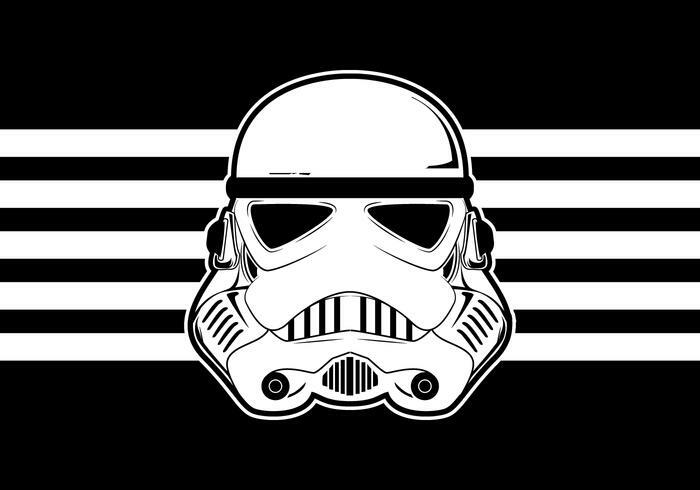 American folklore has the bad guys wearing “black” and the good guys wearing “white”. So it’s odd and creepy to have this nomenclature used by the media to describe one side in a war zone, especially one with so much violence perpetrated against innocent civilians – and millions of people dislocated and so much destruction. I can’t get my head around it. Thanks to Gareth Porter and commenters who work to find out what is really going on…. It was hard to listen to Hillary Clinton pushing for no fly zones which seemed likely to increase the violence and instability. That doesn’t seem to be part of the equation for some politicians. It was American PR company purpose.com (aka Purpose Inc) based in Brooklyn. The domain name for the brand “White Helmets” was created by Ali Weiner of Purpose before the first public mention of the actual group – also known as Syria Civil Defence (note: Not the actual Syrian Civil Defence Organisation which is a completely different entity run by the Syrian Government. purpose.com is part of a highly funded media group including Avaaz and ‘The Syria Campaign’. They are based in a number of Western Countries and receive funding from Western Governments and private entities including the Asfari Foundation. The media entities receive in to total tens to hundreds of millions of dollars a year to disseminate anti-Syrian Government media content and promote the marketing brand “White Helmets”. Their marketing campaigns include the failed Nobel Prize attempt, and the successful Oscar awards. Thanks for the info, Charles. I thought the white helmets was dreamed up by a PR company over here in the UK but I was never sure about this. Your account seems much more plausible and detailed. We need to get this important information out to every site like this one so the public are aware of the white helmet scam. Well done! Big thanks from me, too. Why is that the white helmets appear to be immune from attack by the head chopping terrorists? I have never heard of a white helmet being attacked by the terrorists, even though they are able to move about the terrorists held areas with impunity. yet they are funded to the tune of many millions of dollars by the Americans, British and French who are not supposed to be well disposed to ISIS. I read somewhere that the white helmets set up was dreamed up by a PR company in England so its a Western propaganda outfit for sure which is there to act as a PR group for the terrorists. Excellent article. MSM publishes reports from the White Helmets but won’t go there to report. They explain why. Good effort on this story. To my mind, it would be worthwhile to try and experimentally see what it would take to get a story like this one published in a mass circulation outlet. Assuming there are political barriers, what level of effort is required to overcome those political barriers?? The meta-media question itself is interesting/informative. The United Nations has become what was intended, when the Rockefeller family donated the land for the construction of the United Nations’ Building as a clearing house for Western Imperialism and its Vidkun Quisling sell outs of their country as supporters of the 4th Reich, a New World Order, with those dynamic minorities of extreme wealth as an invisible hand ruddering ships of state by any means necessary with a Carroll Quigley understanding that there must be tragedy before hope as he lined out in his book, “Tragedy and Hope” published the year that President Kennedy was murdered in Dallas, Texas, in 1963. Thank you Douglas Baker. As someone who studies this intensely; I think you’re describing the very center of the storm. Will Angelina Jolie, George Clooney, Amy Goodman or Michael Moore become the 1st to condemn the “White Helmets” as a war propaganda organization, name those who have sponsored them and why, and demand the Academy Award they and Netflix received be nullified or revoked? Which politician – Hillary Clinton, Barack Obama, Bernie Sanders, or Donald Trump – will become the 1st to show real moral courage, true leadership and integrity by doing the same? Will this criminal organization and the massive societal deception perpetrated by the “White Helmets” with their facilitators become – rightly, appropriately, and necessarily – exposed before the entire human race, or will the abhorrent deceit persist as part of some Orwellian “new normal”? First of all, we have to congratulate Al Nusra for having the 1st Oscar… an unprecedented event for the West to give Al Qaeda an Oscar. Despite all the hot air at these convocations of movie actors and technicians about how art lifts us up to help create a better world it is just more illusion and, probably self-deception. Add to the White Helmets’ Oscar the bullcrap out of Meryl Streep who praised Hillary Clinton because THREE WOMEN gave Clinton credit for saving their lives. At the same time, Ms. Streep and many others is Tinseltown were oblivious to the MILLIONS OF WOMEN whose lives were destroyed through death, destruction and displacement because of warmongering policies supported or sponsored by the Queen of Chaos. So the U.N. report does not identify who they interviewed? I made two assumptions about their section on the UN Convoy attack. 2. The U.N. would seek out these survivors as high value witnesses because of their obvious non-partisan views. I agree about the White Helmets, I’m not interested in their propaganda, I want to hear from the Red Crescent truck drivers. The SyAAF does not fly helicopters on military missions at night. In general they also don’t fly fixed wing aircraft at night though there have been recent reports the L39 trainers occasionally fly at night. As helicopters are the means of delivering ‘barrel bombs’ there is almost no likelihood that the night-time attack included (rapidly varying numbers of) barrel bombs (first it was four, later changed to eight by the same White Helmet’s spokesman). As noted on the damage estimates, the ‘barrel bombs’ would also have to be new super-mini versions unseen on any other battlefield to get such tiny amounts of damage. The damage is much more consistent with mortar or small surface-to-surface missiles. A distinct lack of professionalism and neutrality by certain groups within the UN. These include last autumn’s wildly overinflated estimates of civilians inside east Aleppo, and the attendant doomsday-war crimes-indiscriminate attacks on civilians public statements. It wasn’t always this bad – and this can also be said about prominent NGOs such as Human Rights Watch, which has been offering biased information particularly from Syria too. I suspect this is “smart power” in practice. Thanks very much to everyone concerned for this excellent and informative report. Sometimes it is good to read such a detailed and rigrous deconstruction of official lies, because otherwise the very effrontery and scale of the lies would make it hard to doubt them. (The “Big Lie” technique). One minor quibble. The word “flaw” has become very popular in the media, following one of the inexplicable fashions. But a flaw is a slight imperfection in something otherwise good – such as a diamond. The UN investigation was not “flawed”, but riddled with contradictions, inconsistencies and downright lies. “The U.N. Commission’s report cited a photograph of the crumpled tailfin of a Russian OFAB-250 bomb found under some boxes in a warehouse as evidence that it had been used in the attack”. So – let me get this straight – the UN first announced that there were no Russian planes in the vicinity at all. Then it declared that Russian bombs had been found at the site. Hey Tom – I think they mean a bomb of Russian manufacture, supposedly dropped by the Syrian AF. “The White Helmets, which are heavily funded by Western governments and operate only in rebel-controlled areas, are famous for using social media to upload videos purporting to show injured children and other civilian victims of the war”. I think “notorious” is the right word, rather than “famous” which usually means “well-known in a good way”. Clearly there is something odd about the white helmets which were dreamed up by a PR company in the UK and funded by the Americans, British and French to the tune of four hundred million dollars. The odd thing is they never come under attack from the terrorist head choppers who are apparently indifferent to who they kill. I have never heard of a white helmet being killed by the terrorists, notwithstanding the fact that the white helmets appear to be able to move about freely in terrorist held areas. Excellent point, thanks. Never occurred to me before. Am I missing something, or does that cover just about everyone? Is there any documentation that Democracy Now receives “substantial donations” from the Soros Foundation? Go for example to: http://www.intrepidreport.com/archives/16459, but also be sure to google: Soros / Amy Goodman / Democracy Now, where I’m given to believe there exists other such material. I live in the Middle East and, right now, whatever the reason, cannot access Democracy Now’s website to go check. But I do recall some time back having seen somewhere thereon an acknowledgement of a more or less perfunctory sort that the Soros Foundation was among the many donors who had contributed thereto. Also, as I recall Sibel Edmonds @ Newsbud / Boiling Frogs has before now implicated AG & DN in being part-funded by Soros money — this in videos posted on YouTube. — Wouldn’t you like to telephone DN and submit a formal request for more info? 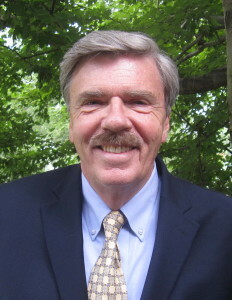 I feel confident that Robert Parry, a recent guest of AG talking re: Trump & Russia etc., would be glad to learn the truth, if he doesn’t already know it. The creation of the United Nations was a good idea and made a lot of sense in 1945. Unfortunately, like all governments, it is given to telling lies. Another superb article by Gareth Porter keeping the candle of hope lit that some day this world will become civilized and the barbarians displaced. Thanks for this report, this incident and the obvious lies around it, is hard to let go of. had video from Aleppo24 published, with sounds of exploding cluster bombs added on their Twitter. What a tragedy it has been to witness how pathetically Amy Goodman @ Democracy Now has been taken in by all all the hype attendant to that White Helmets movie trash — also, for that matter, by the shamelessly partisan so-called Syrian Observatory for Human Rights (@ UK). And especially so when there exists someone very close at hand, one Max Blumenthal by name, who could easily have sorted her out and wised her up. Does the fact that Democracy Now has been the recipient of substantial donations from the Soros Foundation perhaps lie at the heart of this? I sure hope not, but do fear so. It appears protesting against Israeli crimes in the occupied Palestinian territories is a ‘safe’ cause to give credibility, nothing substantive will be done to change Israel’s actions in the foreseeable future. The war on Syria has really sorted out the consistent and true humanitarians and supporters of morality and justice. Excellent clarification article by Gareth Porter. Geoffrey de Galles, I agree that Democracy Now! is slipping badly of late, not only on the White Helmets farce, but on Bashar al Assad, accepting an obvious put-up story from a woman from Amnesty International attesting to thousands upon thousands of hangings by the Assad government, which were in no way credible. Amy is also on the “Russian hack” path which is also not true, especially according to Julian Assange who says the CIA emails were two leaks from Americans, not from Russia. She also is negatively reporting on “Russian ties,” as if criminality occurred and offers no proof. This source of news heretofore trustable is no long living up to its past reputation. So sorry to see this happening. I didn’t know about the Soros foundation donations…now what’s happening makes sense. Sad that anybody can be bought. Yeah, thanks a lot — you’re right on, on every point, as it seems to me. The #putinoid-psychosis that is consuming the US — and, as a psychical epidemic, is right now proceeding to engulf half of Europe — is truly something post-real to behold. And that, of all people, Amy Goodman should be falling for it hook line & sinker is, quite honestly, mortifying for me. — Re: A.G. and $oros, by the way, do see my exchange with another commenter here, lower down the thread. someone I know explained to me that they like watching sporting events because – unlike, say, watching a ballet that I like to do – these sporting events are unscripted and everyone – to the extent that the video cameras accurately capture each play with no angle distortions- can see for themselves exactly what happened, who has the ball, where the forward motion has gotten to, etc etc. 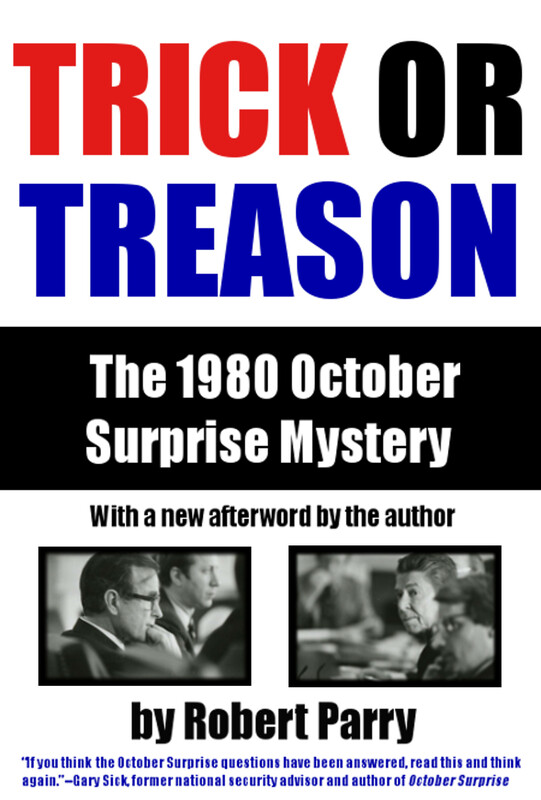 with instant replay that “truth” has become even clearer…. So it’s really dismaying that this old world is filled with increasing violence on civilian populations and increasing dislocations and suffering. And more so when these events are micromanaged after the fact in order to tailor the events to a political narrative as this author describes. This type of thing goes past the amoral paradigm of the end justifying the means. It seems that the means and the end are created out of whole cloth. Reality itself becomes the plaything of a political agenda with little opportunity, it seems, for public scrutiny. Thanks to the investigative reporters who try to dig out the facts. I feel badly for the children and their families who are the real innocent victims of this mass violence. I can’t see that anyone benefits from the destruction. Except maybe the arms dealers……. Thank you Gareth for this excellent investigative article. I actually know people including, very sadly my Mother who support both the White Helmets psy op, and the perverse enemies of justice, Amnesty international . War is the mother of lies. Evil produces more evil, never anything good or true.